Two Sides is a global initiative to help people gain a better understanding of why Print and Paper is a versatile and sustainable communications medium. Created in 2008 with members from the Graphic Communications Supply Chain, Two Sides works to creating an industry forum to work together, share experiences, improving standards and practices and maximize customer confidence in paper products. Two Sides consists of members from companies from the Graphic Communications Supply Chain, including forestry, pulp, paper, inks and chemicals, pre-press, press, finishing, publishing, printing, envelopes and postal operators. Two Sides works to promote sustainability and dispel common environmental misconceptions by providing users with verifiable information on why print and paper is an attractive, practical and sustainable communications medium. Led by sustainable and responsible forestry management, paper production and printing, Two Sides joins under a common purpose for the Graphic Communications Supply Chain. We live in a world where resources are scarce. However, paper and print are unique, recyclable and renewable resources that can be enjoyed for many generations to come. Two Sides is committed to ensuring paper and print remains a versatile, effective and powerful means of marketing and communication. 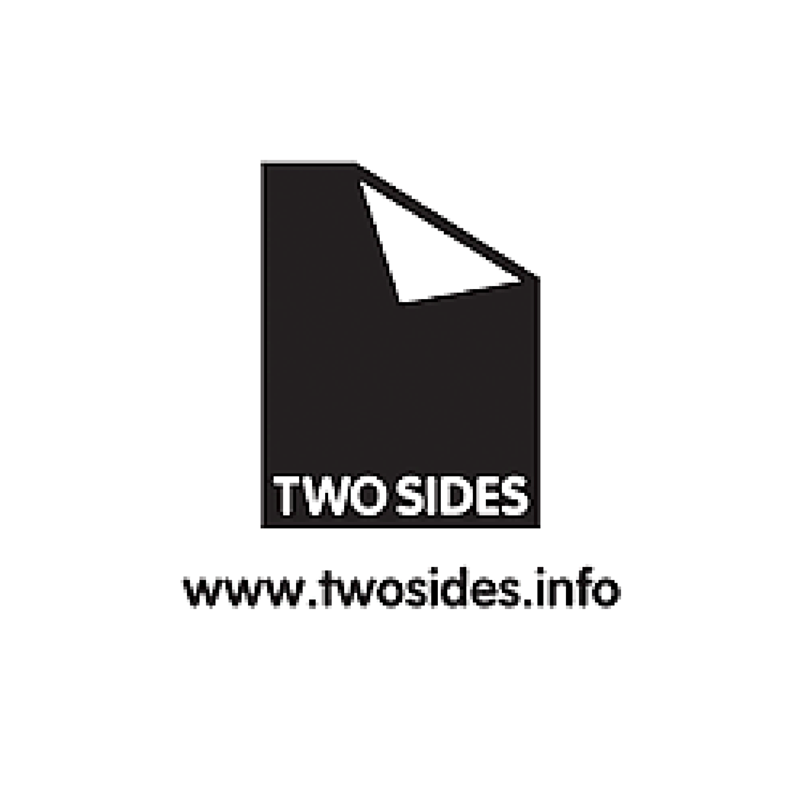 Myth busters, white papers, and general information can be found at their website, www.twosides.info.